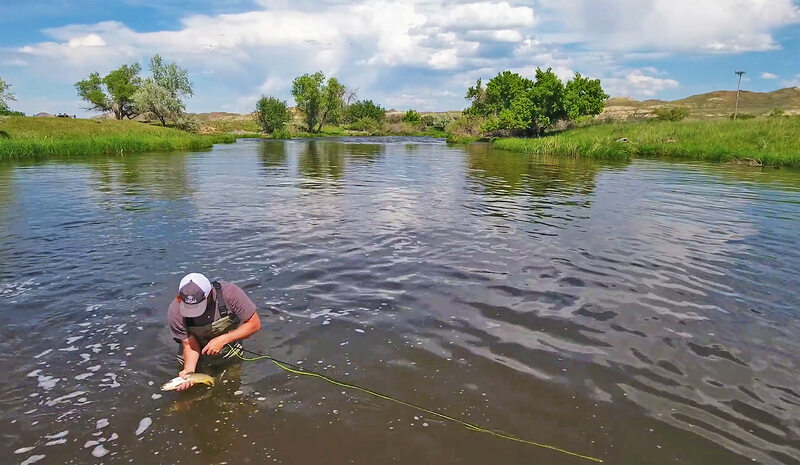 M&M Ranch is situated in the eastern foothills of the Big Horn Mountains just minutes north of Buffalo, Wyoming. 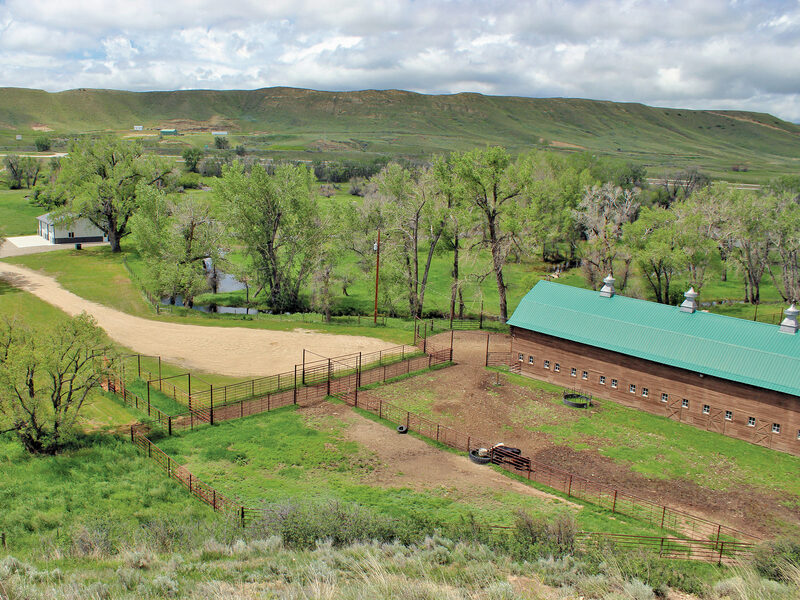 The Ranch is comprised of approximately 12,388 total acres. In addition to the land, approximately 62,000 acre feet of water rights in Lake DeSmet and all appurtenant mineral rights are included in this offering. As M&M Ranch comes to market, the large-scale agricultural producer will be pleased to find this unique opportunity to put a large block of land into serious agricultural production. With over 4,000 acres of adjudicated irrigation rights in combination with Lake DeSmet storage rights, the irrigation potential on the Ranch is astounding. Owned by energy companies for the past 60 years, the historical interest in the Ranch has been for future mineral development. With over one-billion tons of estimated coal reserves underlying the property, in combination with the Lake DeSmet water rights, M&M Ranch has been identified by reputable energy companies as one of the best places in the world to construct a coal conversion facility. However, through all the cycles of global energy markets, the Ranch and the minerals remain largely undeveloped. 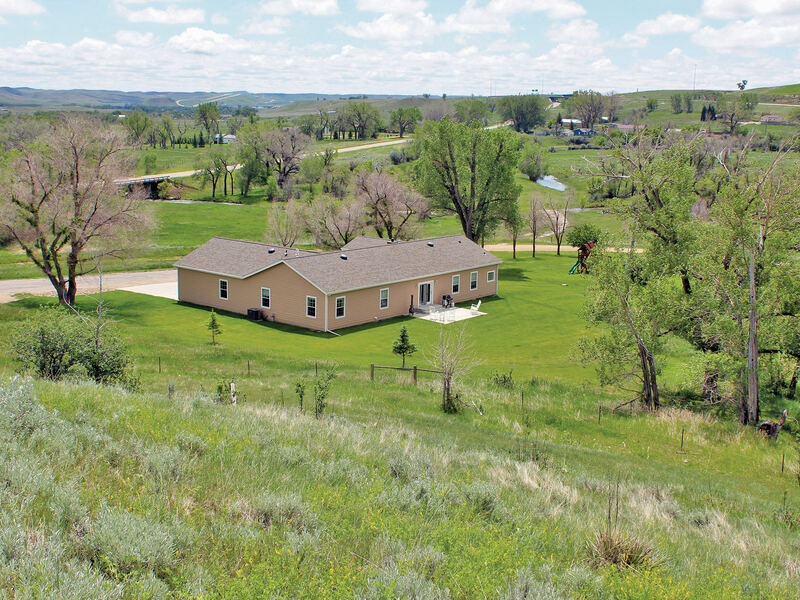 This presents a new owner the opportunity to utilize the Ranch’s resources to meet their strategic goals. In addition to the agricultural and energy development opportunities, the recreational aspects of the Ranch are not to be overlooked. With mule deer, white-tail deer, antelope, sharp-tailed grouse, Hungarian partridge, pheasants, turkeys, ducks, geese, brown trout, rainbow trout, tiger muskies, largemouth bass, and perch, M&M Ranch offers an amazing variety of outdoor sporting opportunities. Located just 1.5 miles north of Buffalo, Wyoming on Rock Creek Road, the Ranch Headquarters are convenient to the amenities of town. Buffalo, with a population of 4,585±, is located in the eastern foothills of the Big Horn Mountains and at the intersection of Interstate 90 and Interstate 25 which facilitates efficient transportation of product to potential markets. 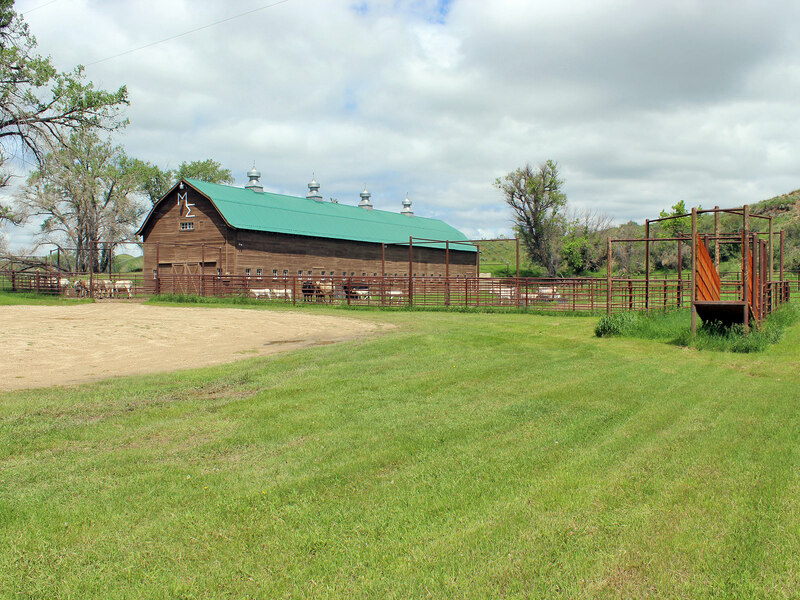 The Ranch itself has excellent access via Interstate 90 and Highway 16 East. 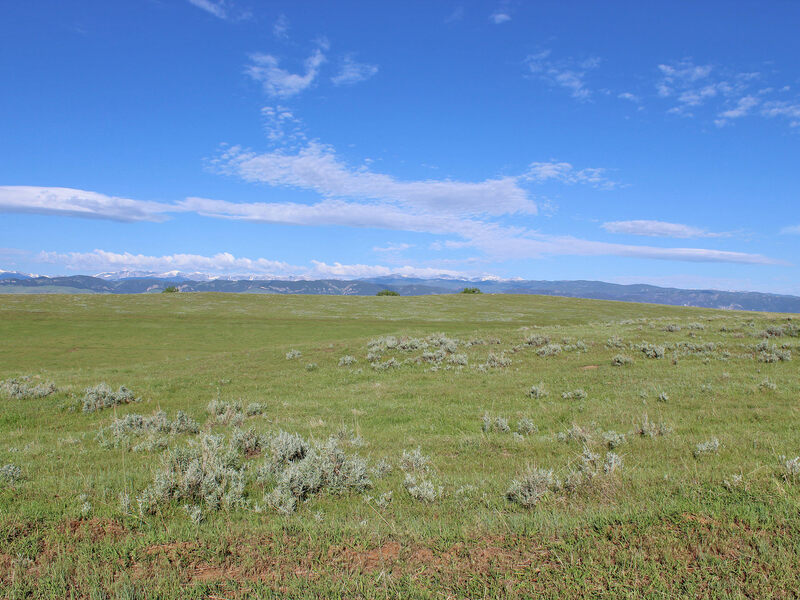 The northern boundary of the Ranch lies just south of Lake DeSmet with grand views of the lake and the Big Horn Mountains. Johnson County Airport (KBYG), a well-improved airstrip capable of handling good-sized aircraft, is located at Buffalo, Wyoming. The asphalt runway is 6143’ x 75’. Buffalo also has all the essential services needed before heading to the Ranch. With a modern hospital and clinic, two grocery stores, sporting goods store, four banks, several agricultural supply, hardware and lumber stores, a movie theatre, fine dining, and an excellent public school system, Buffalo is able to provide all of the essentials. The Ranch has heavily sodded pastures and is very productive. The native pastures are comprised of both cool season and warm season grasses including western wheatgrass, blue grama grasses, bluegrasses, prairie junegrass, and several varieties of sage. The irrigated fields are comprised of alfalfa with a mix of smooth brome, timothy and garrison creeping meadow foxtail. Historically, the current management has harvested about 600 tons of hay annually off of the irrigated fields. However, a significant portion of the irrigated acres are currently being grazed during the summer months. In the Ranch’s current state, there is ample tonnage to feed a herd of cattle consistent with the Ranch’s Animal Unit (AU) rating of 350 AUs, while providing an opportunity to sell hay or graze some of the irrigated pastures. The past owners have maintained the fences in good condition which has facilitated grazing yearling cattle efficiently. With adequate stock watering points throughout the Ranch, the forage utilization is considered to be good. The Ranch is divided into two units which are separated by a span of one mile. 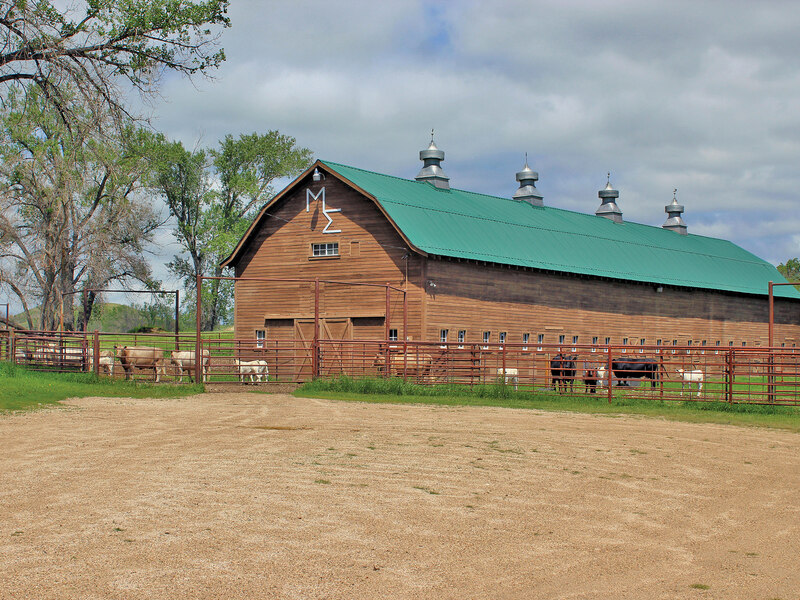 The Main Unit, located between Buffalo and Lake DeSmet, consists of approximately 8,000 deeded acres. The Ranch Headquarters, approximately 1.1 miles of Rock Creek, and most of the irrigable land is located within the Main Unit. 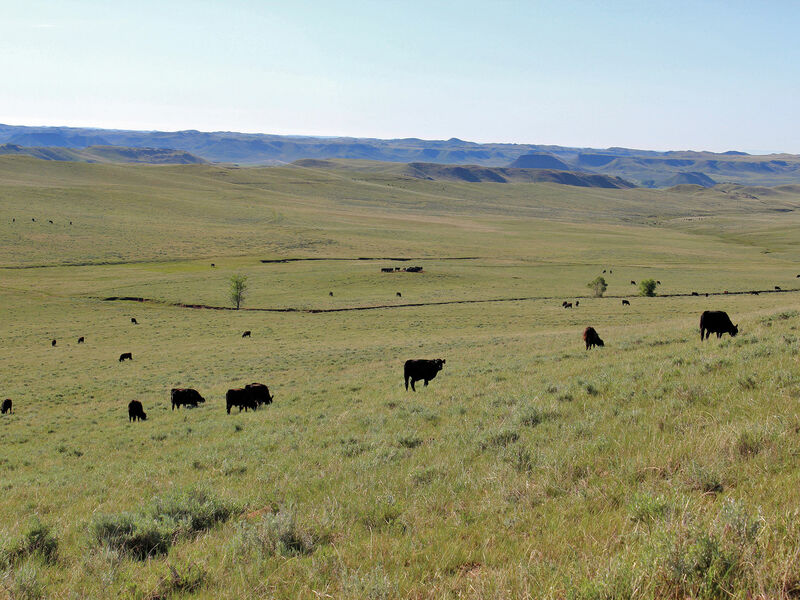 The Healy Unit is located east of the Main Unit and consists of approximately 1,986 deeded acres, 2,122 State of Wyoming Leased Acres and 280 acres of BLM leased acres. Healy Reservoir is located within the Healy unit along with approximately 2 miles of Clear Creek, the Clear Creek Diversion Dam, and Healy Pump Station. Historically the Ranch has been rated at 350 animal units. Approximately 600 tons of hay have been produced annually with some of the irrigated base being grazed. This takes into consideration that only a portion of the adjudicated irrigated acres are currently being irrigated. With thoughtful development of the Ranch’s irrigation infrastructure in combination with the direct-flow irrigation rights and Lake DeSmet storage rights, the production potential on M&M Ranch is astounding. With focus on large-scale agricultural production, M&M Ranch has tremendous upside potential. The Ranch elevation is approximately 4,600 feet above sea level. Buffalo experiences a semi-arid climate with cold, dry winters, wet springs, and hot summers. The average annual precipitation in nearby Buffalo is 13.26 inches. With regard to cattle ranching, Buffalo and the surrounding area is considered one of the most desirable locations to produce cattle in Wyoming. This is due to the mild winters and wet spring weather which usually produces excellent quantity and quality of forage for livestock to utilize year round. The Ranch is well watered by two wells, 33,000 feet of stock watering pipeline, 28,000 gallons of water storage, and 18 rubber tire stock tanks. Along with the stock-watering pipeline, irrigation ditches and stock reservoirs provide adequate watering locations for livestock year round on the majority of the Ranch. The Ranch contains well-maintained and very functional improvements. In today’s ranch market, it can be difficult to find a large-scale agricultural operation free of an overvalued trophy home. M&M Ranch improvements are modern but modest and complement the Ranch nicely. The Ranch provides a unique opportunity for its next owner to create improvements suitable for their needs. 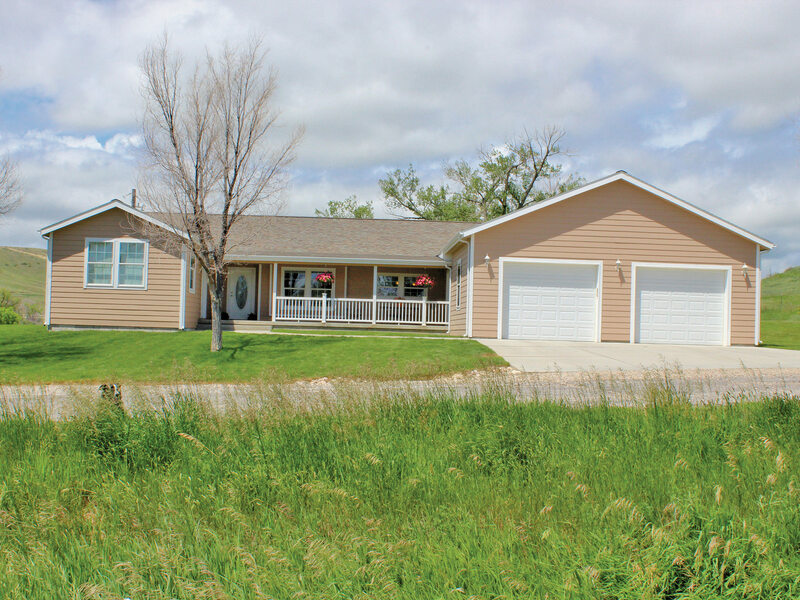 The Ranch Manager’s Home, constructed in 2007, has approximately 2,600 square feet of living space with 4 bedrooms, 2 bathrooms, a large two-car attached garage, and a comfortable office with an outside entrance. The main shop building, a 40´ X 60’ metal-sided structure was completed in 2013. The shop has electric power, is well insulated, heated with a natural gas fired heater, and has a sealed-concrete floor. The large horse barn was constructed in the early 1900s and refurbished in the 1990s and again in 2007. A smaller shop building, also remodeled in 2007, is fully insulated and heated. The corrals are all in good working condition with the main wooden working corrals located in the middle of the Main Unit. The pipe corrals at the Ranch headquarters were completed in 2009, and the pipe corrals at the Healy Unit were completed in 2011. The fences are in good condition with approximately a mile of new fence replaced every year for the past 10 years. The 2015 real estate taxes were $16,284.32. Electricity is provided by Rocky Mountain Power and Powder River Energy Corporation. Natural gas is provided via Montana Dakota Utilities. Telephone is provided by CenturyLink and cellular communication and internet service are available on the Ranch via Verizon Wireless. Garbage removal is provided through Bald Mountain Sanitation. Domestic water is provided by a private well and the sewer system is septic. A list of personal property to be sold separately will be provided to qualified buyers upon request. Any personal property purchased will be negotiated outside of the real estate transaction and transferred by a Bill of Sale at Closing. The Buffalo, Wyoming area is rich in history as multiple battles took place in the region. The Johnson County War, a battle between large cattle barons and homesteaders, took place just south of Buffalo. Also just a short drive from Buffalo is the Fort Phil Kearney historic site, the Fetterman’s Massacre Site, Wagon Box Fight and the infamous “Hole in the Wall”- which was the hideout of the notorious Butch Cassidy and the Sundance Kid along with the rest of the Wild Bunch. The Jim Gatchell Museum in Buffalo is a must see with over 15,000 artifacts from the old west. The historic Bozeman Trail marked its path through M&M Ranch and served as an overland route connecting the gold rush territory of Montana to the Oregon Trail. M&M Ranch has significant recreational components. With over one mile of Rock Creek, two miles of Clear Creek, and the two-hundred acre Healy Reservoir, fishing opportunities are abundant. Whether it be fishing for perch, largemouth bass, or tiger muskies in Healy Reservoir, or fly fishing Rock Creek and Clear Creek for brown trout and rainbow trout, both the avid and novice fisherman are sure to be pleased. Along the cottonwood-lined river bottoms of Rock Creek and Clear Creek, whitetail deer, turkeys, pheasants, ducks, and geese can be found. In the rolling hills and draws above the creeks, mule deer, antelope, sharp-tailed grouse, and Hungarian partridge are often seen. 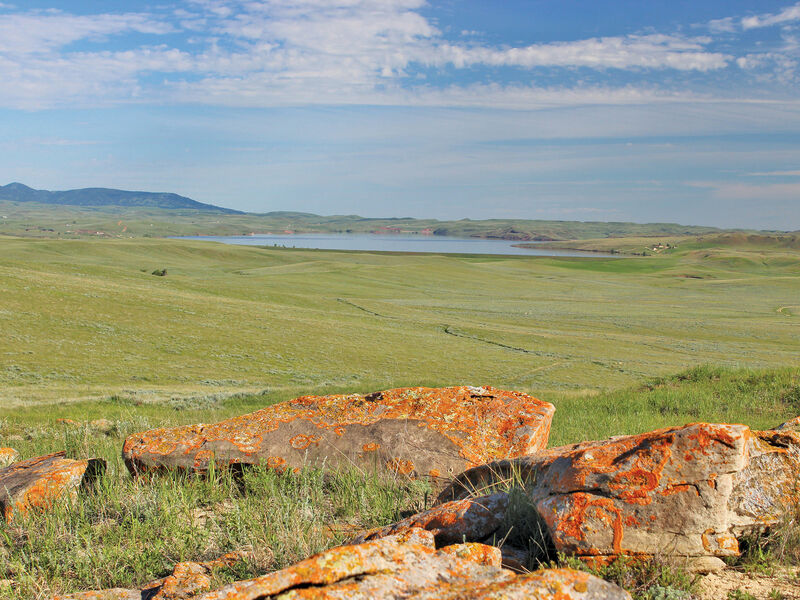 M&M Ranch is well situated in one of the most desirable areas of Wyoming and is comprised of 12,388± total acres, of which 9,986± are deeded. 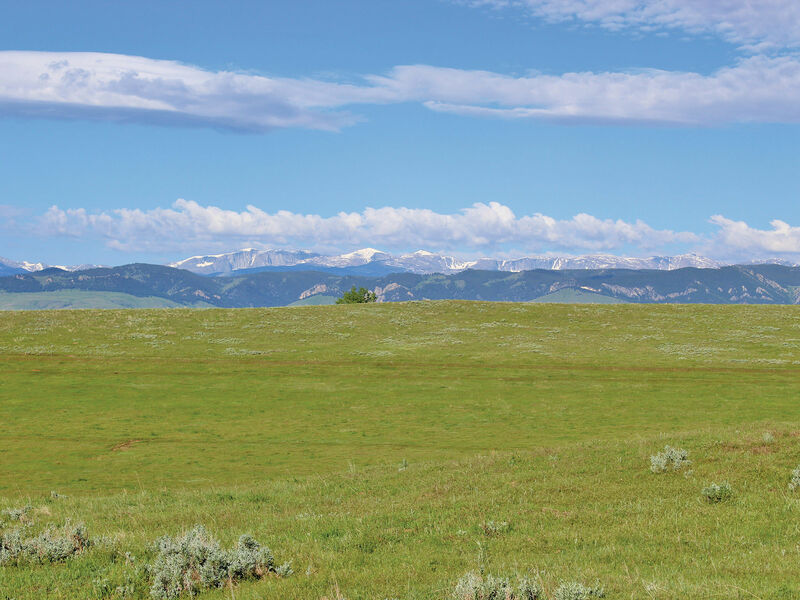 The combination of stunning views of the Big Horn Mountains, convenient access, extensive direct-flow irrigation rights, extraordinary water storage rights in Lake DeSmet, and significant mineral rights which include a massive coal resource presents a “once in a lifetime” opportunity to invest in a highly diversified asset. 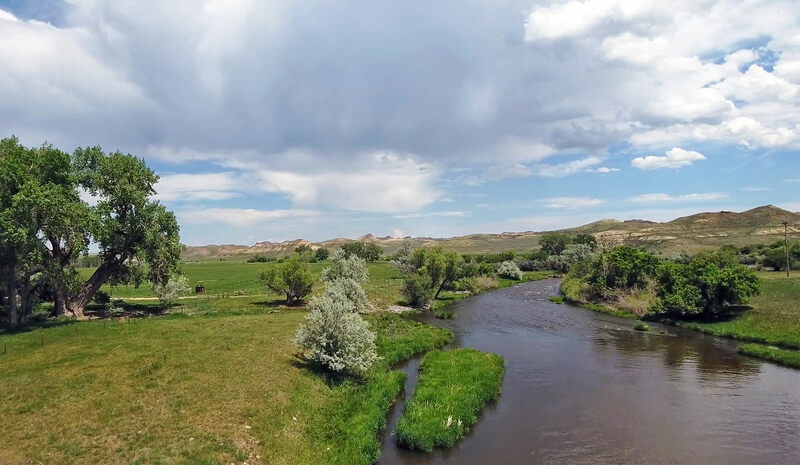 Opportunities to acquire a ranch with abundant water resources are challenging to find in today’s active real estate market. Being meticulously maintained during the period of the current ownership, the new owner will have the opportunity to create and develop their own vision to utilize the abundant resources on M&M Ranch. The potential irrigation expansion alone may be the single most compelling reason for buyers in the market looking for quality production ground to take a serious look at M&M Ranch. Buyers’ Brokers are welcome and invited to contact Scott Williams in our Wyoming Office for information regarding Cooperation Policies and Commission Splits.